Full list of leaving times, live availability booking and big discounts on tours from Airlie Beach to Whitsundays all year round. We have tours available at the lowest prices perfect for students and backpackers alike. We also have high end packages available if you are looking for a luxury tour around the Whitsundays. The list also includes options for families and even tours that have very few people on them for a more personal experience. To discover more details about any of the Whitsundays tours be sure to take a look around the rest of our site. To book a tour simply click on the “Book Now” text, you will be directed to the sales page. All packages include refreshments within the set prices as well as all equipment provided at no extra cost, this includes snorkeling stuff. All leaving times and prices are listed below, we have half day, full day and over night trips available. Please note that all equipment is provided for snorkeling, if you require scuba diving equipment it will be an added cost on top of the package prices listed below. 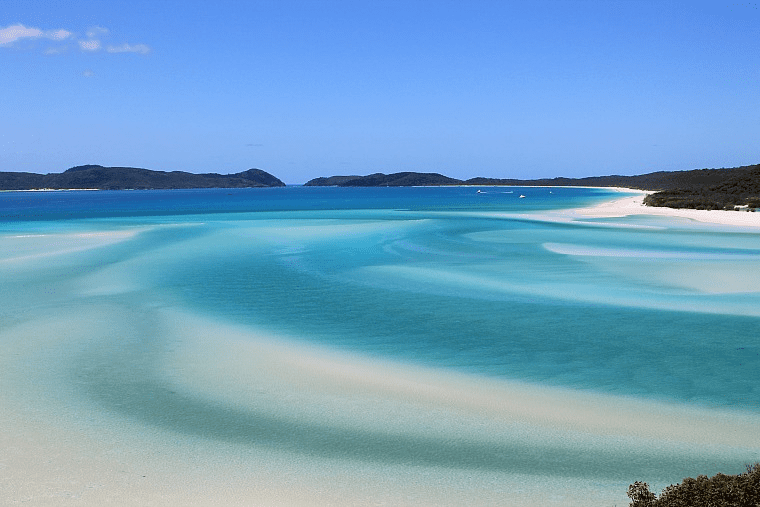 This is a Whitehaven beach half day tour on JetSki’s. This package explores the beautiful Pioneer Bay, Port of Airlie and 2 Islands. Take in the stunning views across the Whitsundays from the air. Feel the absolute ultimate thrill and way to view the magnificent glory the Whitsundays has to offer. This is a fast paced day trip visiting Hill Inlet Lookout and the south end of Whitehaven Beach. You will get time snorkeling the coral reefs and have lunch on Whitehaven Beach. This is a very different package to many others. You get the chance to stay at a luxury resort and explore all the wonderful islands by day, absolute paradise. This package is for anyone aged 18 and up. This tour is onboard a stunning yacht which has been purpose-built for the Whitsunday market. The tour visits Whitehaven Beach, Hill Inlet Look Out and some of the best snorkeling locations in the world. This sailing trip is perfect for ages 18-35, it is aimed at backpackers and students on a tight budget. You will visit Whitehaven Beach including the famous Hill Inlet Lookout on the Northern End. Snorkel locations can include Luncheon Bay, Caves Cove, Blue Pearl Bay plus many more destinations. To read more about the Whitsundays follow the link. If you have any questions about any of the tours from Airlie Beach to Whitsundays please get us on live chat or send us an email. We are available all the time and are happy to help.